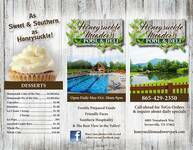 Hidden Treasures quietly rests nestled in the hills near Wears Valley and Pigeon Forge. 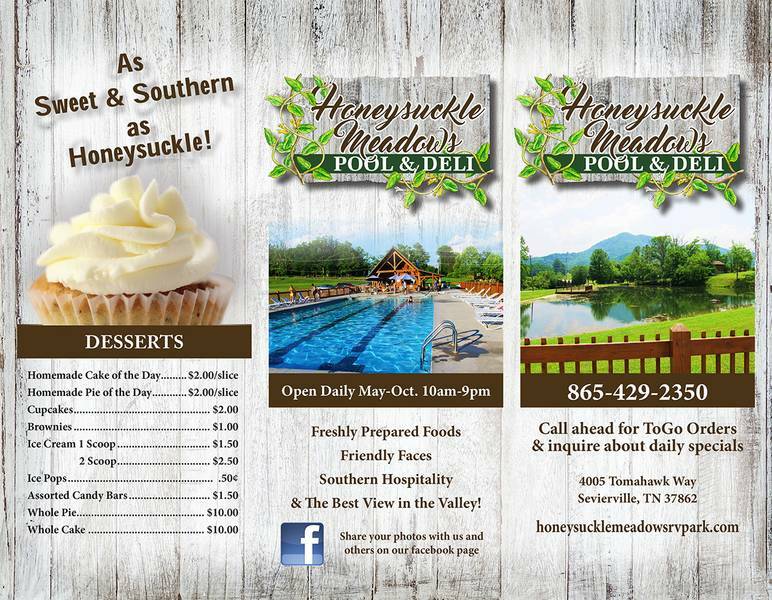 only a short, relaxing 15-minute drive from downtown Pigeon Forge and only 10 minutes to Townsend where you can enjoy a day of river tubing and a picnic. 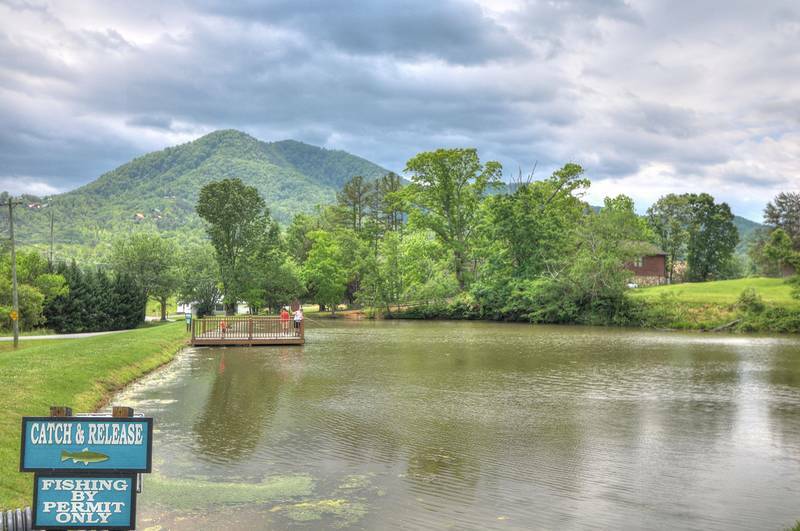 Townsend is only minutes from Beautiful Cades Cove. 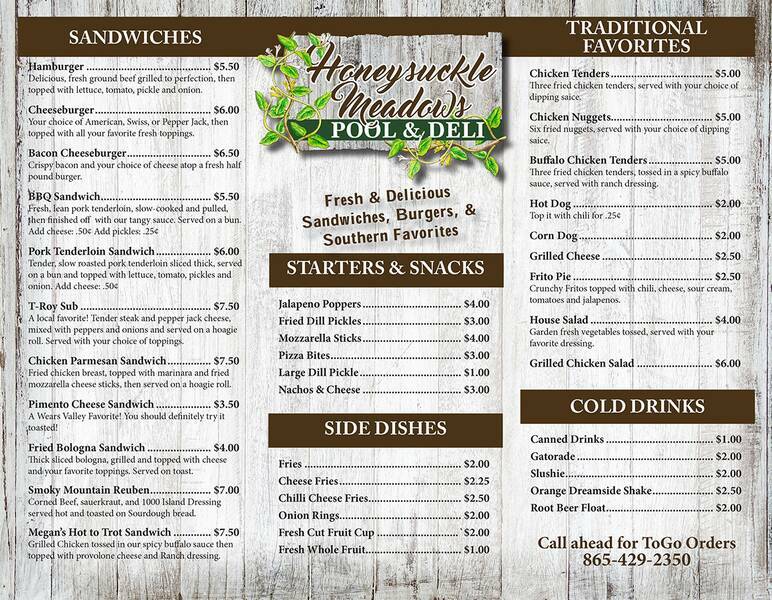 Enjoy the day at Metcalf Bottoms swimming in the river and a picnic. Metcalf Bottoms is only 9 minutes from the cabin. 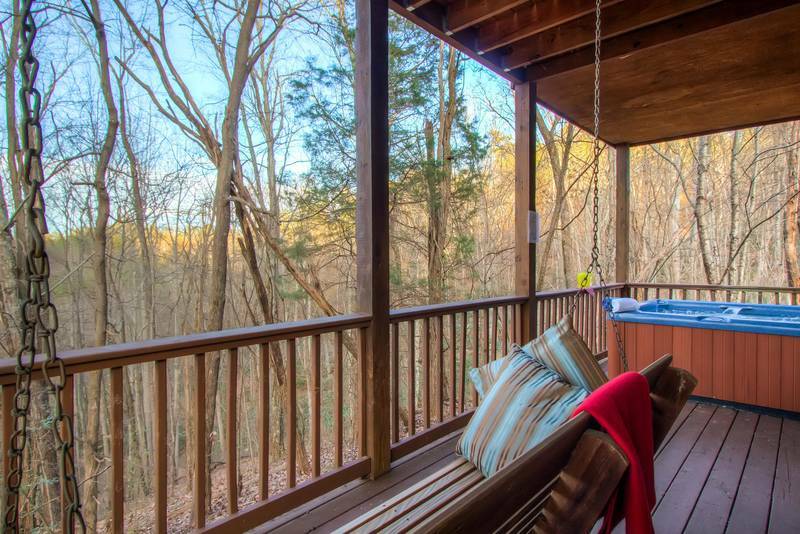 This quaint cabin is semi-secluded offering a private, seasonal view. 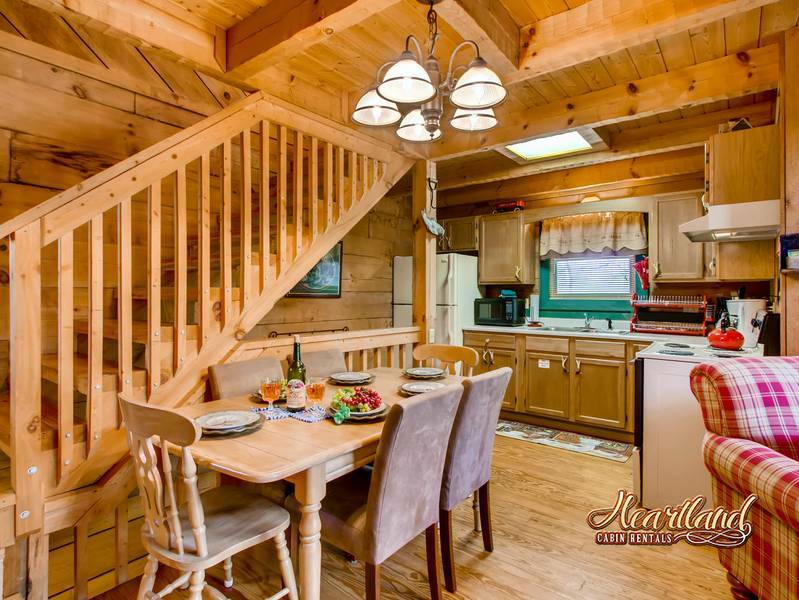 The cabin features a king-sized master bedroom which is located on the lower 3rd level which offers an en-suite bathroom as well as access to the hot tub and deck. 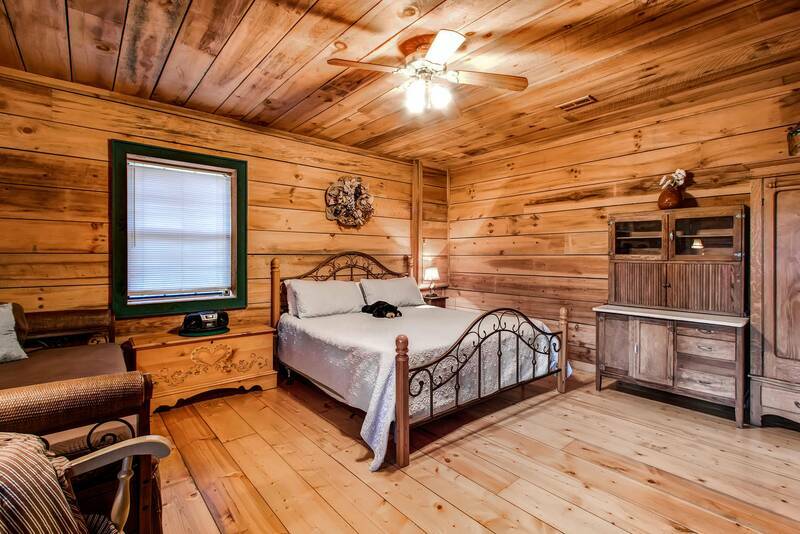 This room also includes a twin-sized daybed for additional sleeping accommodations. 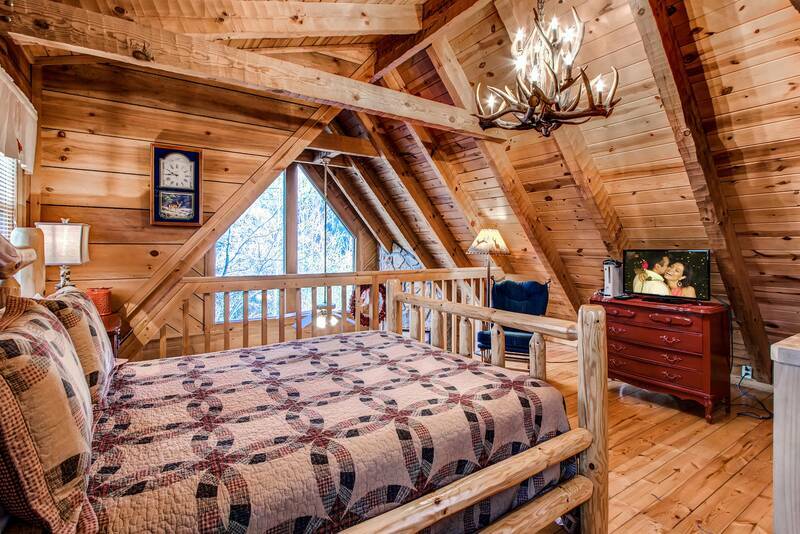 The upper loft area level provides a queen-sized loft bedroom with a log bed and an Adirondack-inspired antler chandelier. 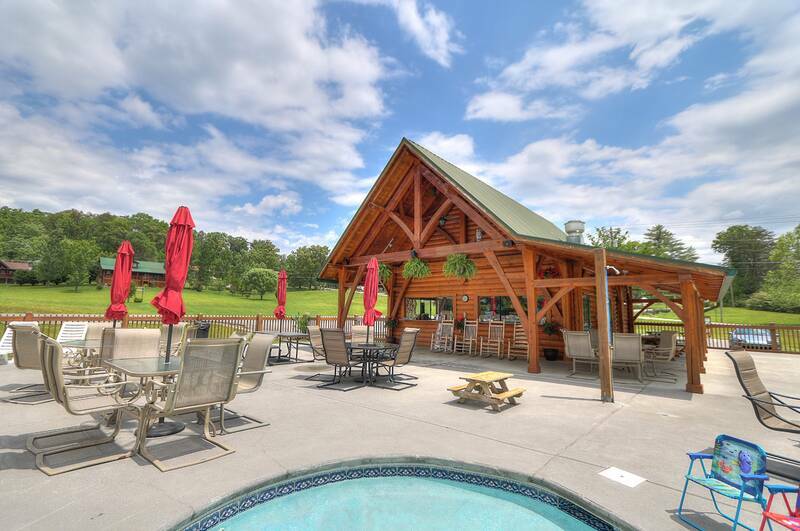 Catch the sunset while rocking together on the wrap around deck or take advantage of the large yard which offers horseshoe pit. 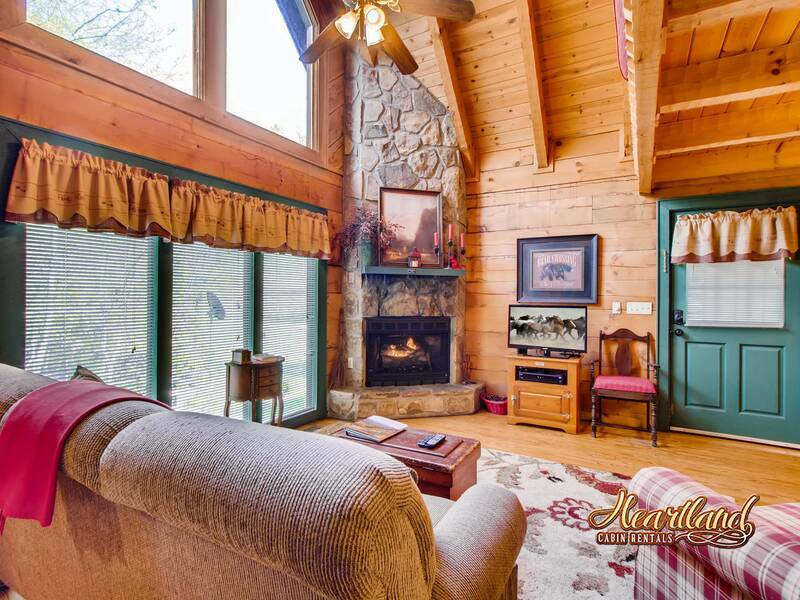 The main middle entrance level brings warmth and togetherness with a gas log stone fireplace, a flat-screen TV, as well as a full kitchen and full bath. 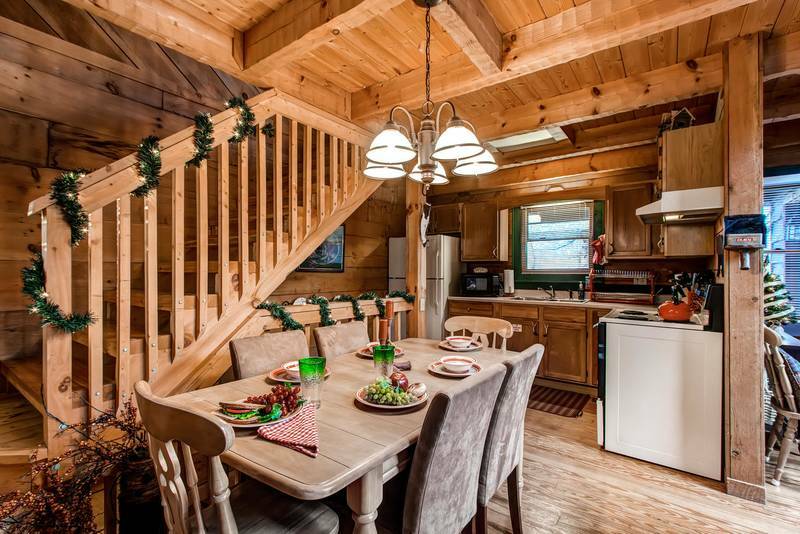 This cabin is also motorcycle-friendly with leveled parking! 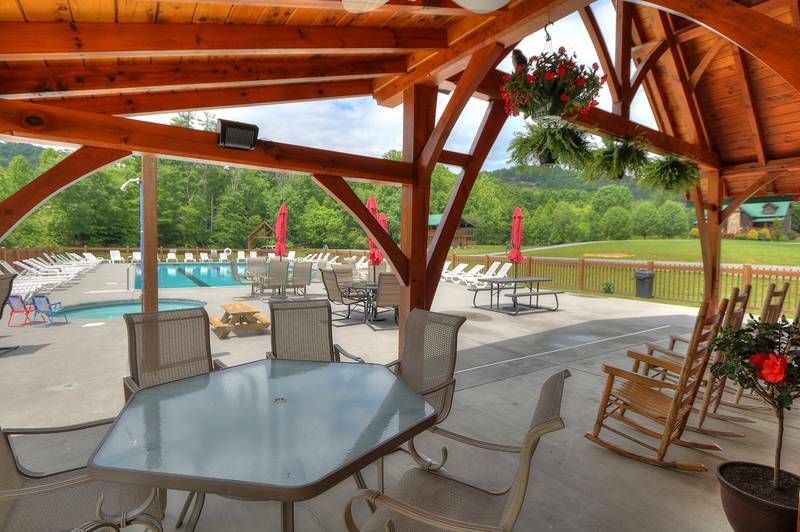 A perfect setting for a relaxing stay in the Smokies! 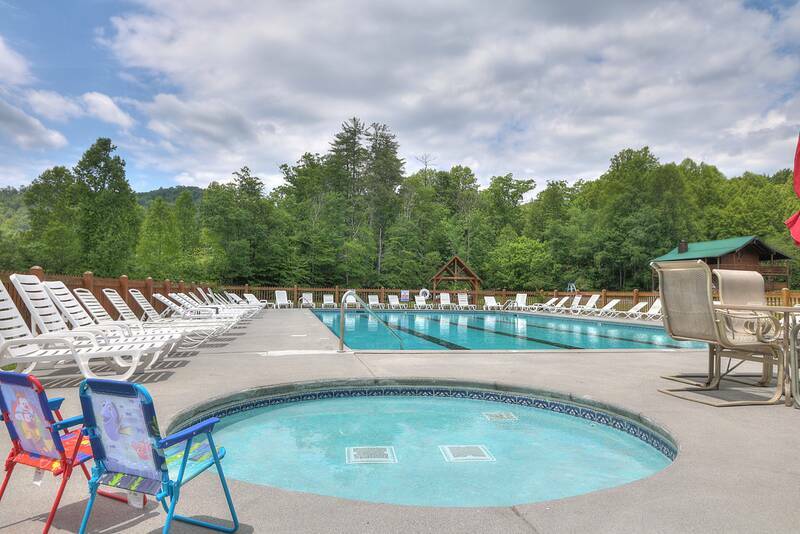 Reserve your Smoky Mountain getaway at Hidden Treasure's today! Our cabin was amazing! Breathe taking! The staff was super nice and friendly! We have zero complaints and we will definitely be back soon! Thank you for everything! You guys rock! It was very nice and cozy! 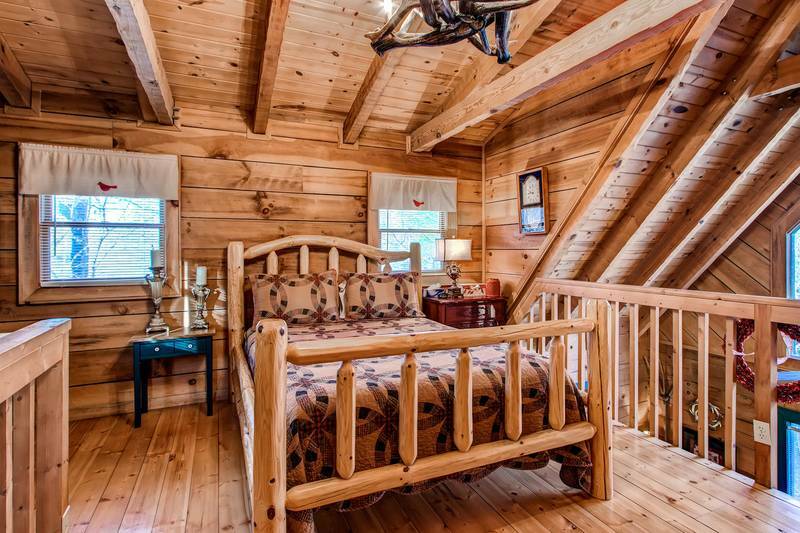 This was the best cabin I have stayed in all my several stays in the Smokies. 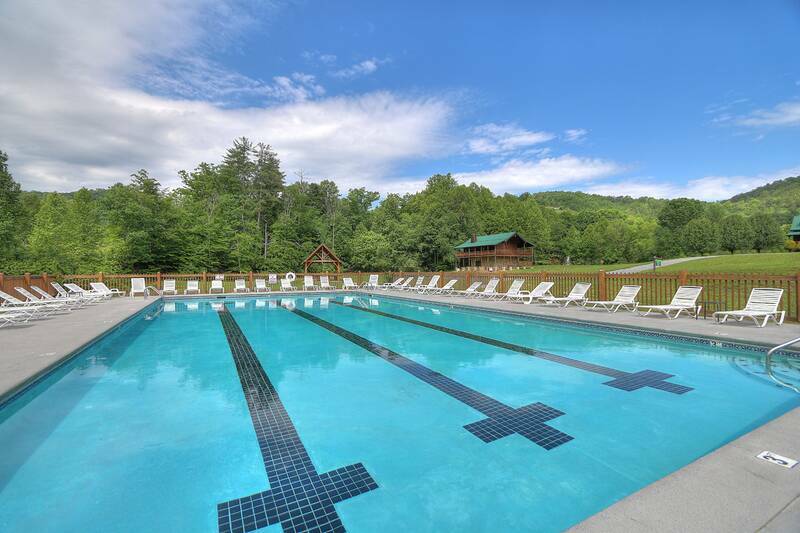 Amazing views and great amenities! 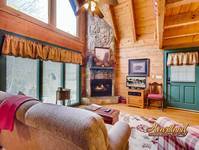 We love staying with heartland rentals, cabin was wonderful, nice and cozy. Only complaint (which doesn’t change my mind) is the water was like it had baking soda in it. Like I said not changing my mind about the stay at all. Heartland is great to deal with! Everything met our expectations with our stay. The cabin was in a great location, private, easy access. Everything was in order, clean and quiet. Will be returning to stay there again, soon I hope, lol. Totally amazing, exceeded our expectations! Hidden Treasures is absolutely beautiful! We will definitely be back!!! 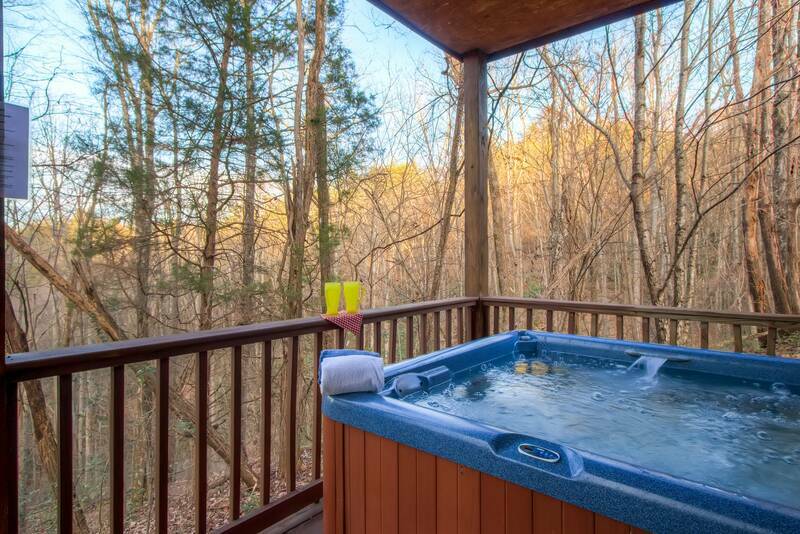 So peaceful with all the comforts of home ..and then some.perfect location.near both pigeon forge and wears valley.will certainly make a return trip. Great! Loved the outside and the in! Love that the bedrooms are split! Great for couples with kids! The cabin we stayed in was nice and clean when we arrived. It was easy to find and somewhat secluded. All the girls were fantastic with communication and responses.... great staff! What a wonderful stay we had. Beautiful little cabin. My family and I made some great memories. We did not use the pass but had a great time on some hiking and waterfall trails. We had a wonderful time there in the Smoky Mountains. The cabin (Hidden Treasures) was perfect for our needs. I was able to get my motorcycle trailer in and out without any problems and there was plenty of room for parking with my truck, trailer and two motorcycles. Unlike most cabins that might have room to park only one vehicle (maybe two). This is our third stay with Heartland Rentals and we hope to rent from you sometime in the near future. 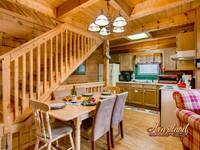 Our stay in the Hidden Treasures cabin was one of our best getaways!!!! The cabin was perfect for our family!!! The staff was excellent - always friendly when speaking to them in person or by phone. Thank you for making our visit one that we will never forget. 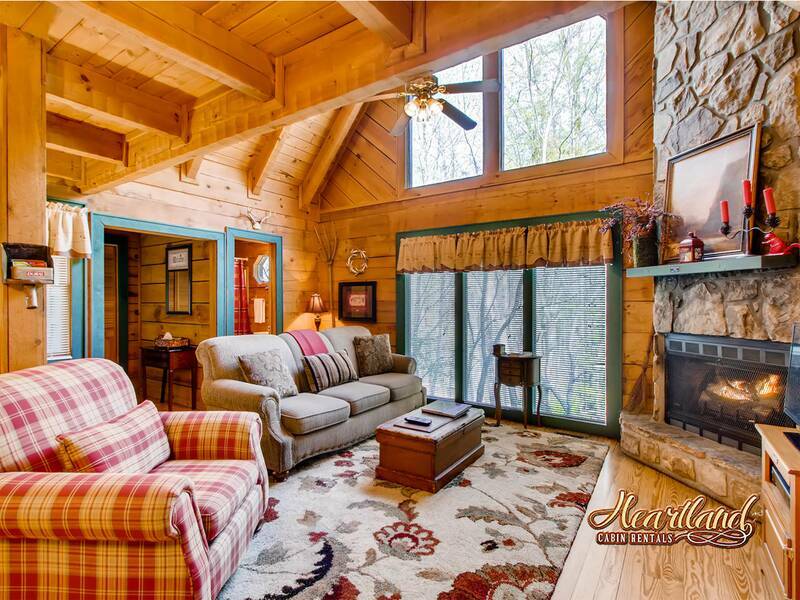 We absolutely loved this cozy little cabin. 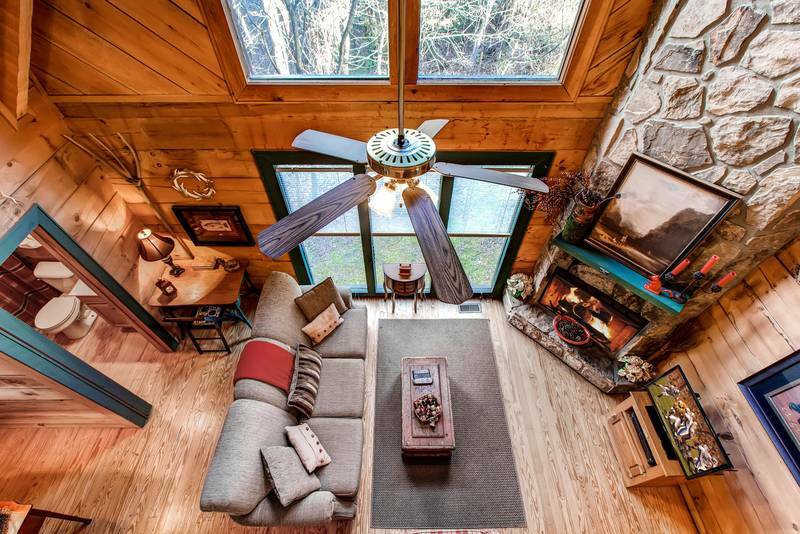 This cabin is perfect for a family of 5. The girls enjoyed the yard, the hot tub, & the loft. 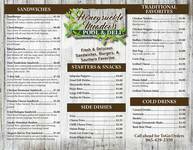 This is our 3rd visit with Heartland and we will be back. Oh, the master bed, it's amazing. It's a memory foam bed. Perfect after a long day of hiking. It was a comfy peaceful home away from home. We thoroughly enjoyed our stay. The cabin was clean and had everything we needed, including a muffin pan! The tri-level cabin had plenty of space for our family to rest and relax. 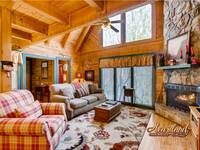 The cabin was wonderful and in a peaceful setting and easy access to whatever we wanted to do. The water was the only downsize. It seemed we could never get the soap off! Must have been the well water!! Everything else made up for it though. We had a wonderful time! We had a wonderful stay; very relaxing. Holly, with Heartland Rentals was great to deal with; very friendly. ,Thank you Holly. My daughter and I had a great week. We spent time using the Gateway to Fun Pass; Legacy Mountain Zipline, USA Raft, and the Hatfield and McCoy Show. We also went to Ripley's Aquarium and played mini golf at Old MacDonalds. The Fun Pass is a great deal. We hiked a few trails in the Smokey Mountains and visited Cades Cove. When not cooking, we ate breakfast at Grandmothers Kitchen in Wears Valley, wonderful breakfast. We also had a nice surprise on Mother's Day when we went to the Alamo Steakhouse. The owner gave all mothers a free petite filet mignon dinner. It was the best food I have eaten at a steakhouse in a while and service was excellent. The home, Hidden Treasures was very nice and charming. A great get-away. We had several visits during the night from Mr. Raccoon. Loved the home. Very nice cabin and area. Not too secluded but enough for privacy. This is our 3rd time with Heartland and it's difficult to even think about another company to rent from. Staff is very friendly and helpful. Cabins are great. We had a delightful stay at Hidden Treasures! 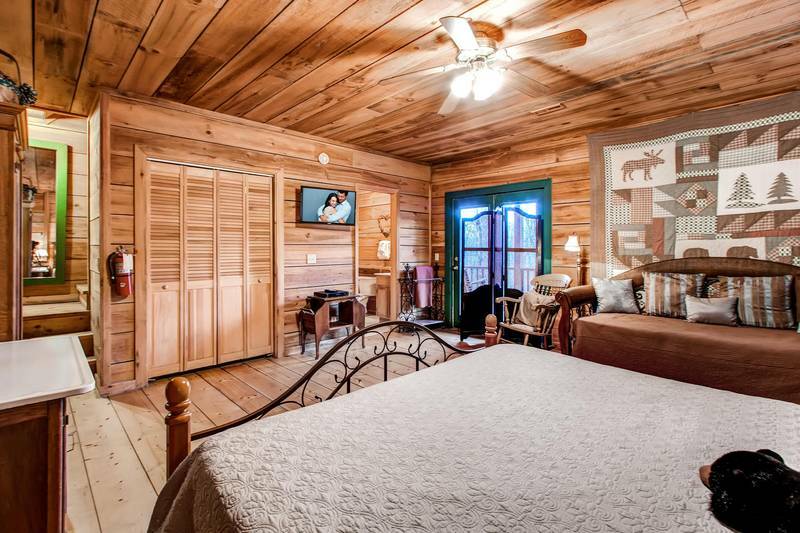 Everything about this sweet little cabin was "just right" we would highly recommend this cabin for anyone with a small group or honeymoon. We especially enjoyed the fireplace and hot tub. The loft offered more privacy than one would think.